Lately I’ve been working my way through Mastering Bitcoin, implementing as many of the examples in the book in Elixir as I can. I’ve been amazed at how well Elixir has fared with implementing the algorithms involved in working with Bitcoin keys and addresses. Elixir ships with all the tools required to generate a cryptographically secure private key and transform it into a public address string. Let’s walk through the process step by step and build our our own Elixir module to generate private keys and public addresses. A Bitcoin private key is really just a random two hundred fifty six bit number. As the name implies, this number is intended to be kept private. From each private key, a public-facing Bitcoin address can be generated. Bitcoin can be sent to this public address by anyone in the world. However, only the keeper of the private key can produce a signature that allows them to access the Bitcoin stored there. Let’s use Elixir to generate a cryptographically secure private key and then generate its most basic corresponding public address so we can receive some Bitcoin! As I mentioned earlier, a Bitcoin private key is really just a random two hundred and fifty six bit number. 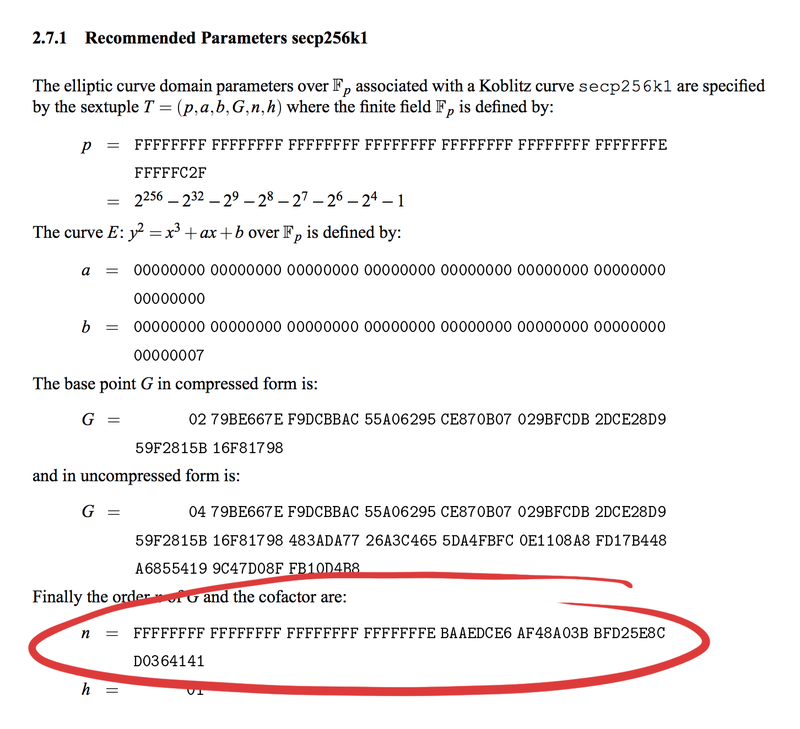 In other words, a private key can be any number between 0 and 2^256. However, not all random numbers are created equally. We need to be sure that we’re generating our random number from a cryptographically secure source of entropy. Thankfully, Elixir exposes Erlang’s :crypto.strong_rand_bytes/1 function which lets us easily generate a list of truly random bytes. This gives us a random set of 32 bytes that, when viewed as an unsigned integer, ranges between 0 and 2^256 - 1. Unfortunately, we’re not quite done. An excerpt of the SECG guidelines. Now we can call PrivateKey.generate to generate a new Bitcoin private key! The most basic process for turning a Bitcoin private key into a sharable public address involves three basic steps. The first step is to transform our private key into a public key with the help of elliptic curve cryptography. We’re using the elliptic curve key generation as a trapdoor function to ensure our private key’s secrecy. It’s easy for us to generate our public key from our private key, but reversing the computation and generating our private key from our public key is nearly impossible. The returned value is a sixty five byte binary representing our public key! Once we have our public key in memory, our next step in transforming it into a public address is to hash it. This gives us what’s called the “public hash” of our public key. Bitcoin uses the RIPEMD-160 hashing algorithm because it produces a short hash. The intermediate SHA-256 hashing is used to prevent insecurities through unexpected interactions between our elliptic curve signing algorithm and the RIPEMD algorithm. In this example, hash/1 is a helper function that wraps Erlang’s :crypto.hash. Flipping the arguments to :crypto.hash in this way lets us easily pipe our data through the hash/1 helper. Lastly, we can convert our public hash into a full-fledged Bitcoin address by Base58Check encoding the hash with a version byte corresponding to the network where we’re using the address. The to_public_address/2 function takes a private_key and a version byte as its arguments. The version defaults to <<0x00>>, indicating that this address will be used on the live Bitcoin network. After laying the groundwork, the final pieces of the puzzle effortlessly fall into place. Now that we can generate cryptographically secure private keys and transform them into publishable public addresses, we’re in business. 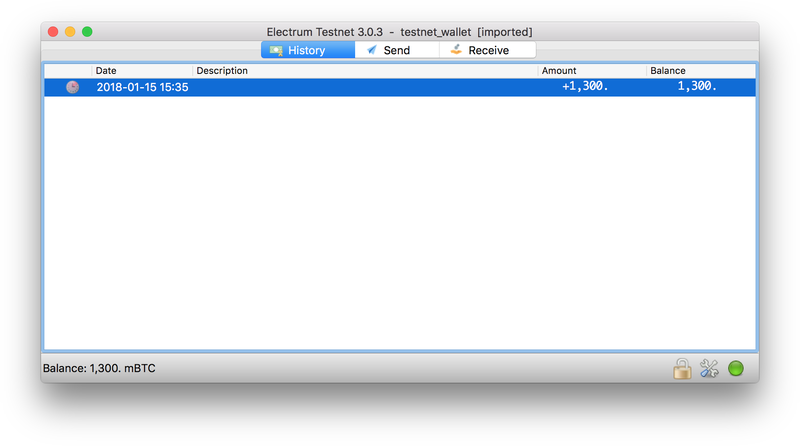 Importing our test private key. Now that we have our public address, let’s find a testnet faucet and send a few tBTC to our newly generated address! 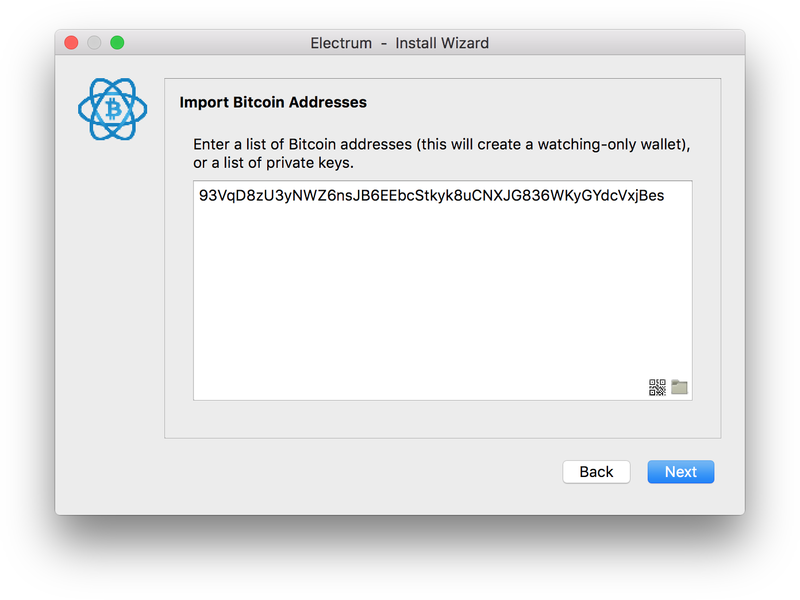 After initiating the transaction with our faucet, we should see our Bitcoin arrive at our address on either a blockchain explorer, or within our wallet software. Elixir, thanks to its Erlang heritage, ships with a wealth of tools that make this kind of hashing, signing, and byte mashing a walk in the park. I encourage you to check our the PrivateKey module on Github to get a better feel for the simplicity of the code we wrote today. Overall, I’m very happy with the result. Stay tuned for more Bitcoin-related content as I work my way through Mastering Bitcoin! This article was published on January 22, 2018 under the BitcoinElixirMastering Bitcoin tags. For more articles, visit the archives. Also check out the work I do, and reach out if you’re interested in working together.